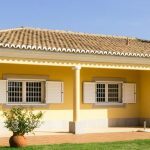 Algarve property for sale – Why buy? 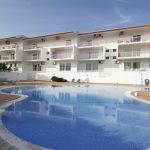 If you are considering investing and starting to look for an Algarve property for sale below are some facts take will help you and give some security to your decision. 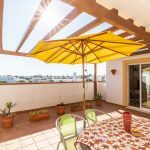 There are a lot of Algarve properties for sale, and I am sure that you will choose the best for you, but all properties for sale have one thing in common that is the location, Algarve. Algarve is a brand known all around the world and is famous for its beaches, golf courses, excellent food and the weather! Algarve was awarded as the “Best Value Golf Destination (continental Europe)” due to its numerous golf courses, such as Vale do Lobo, Vilamoura, Quinta do Lago, Monte Rei (Jack Nicholaus), Quinta da Ria and Quinta do Vale (Severiano Ballesteros). Your family and friends have the possibility to play in any of these golf courses, because they are very close to the property in Algarve that you will buy. Our weather and sun are also well known around the world. Algarve has more than 300 sunny days per year and the temperatures are also very warm. In fact, there are a lot of buyers from the Northern of Europe that are looking for Algarve properties for sale just because of the weather! But for many of those that lock for an Algarve property for sale, Algarve’s business card is its beaches. Algarve also won the award of “Europe’s Leading Beach Destination 2012”and has many and very different types of beaches. You can choose the ones in Portimão and Alvor (beaches cliffs), or the one on the “Costa Vicentina” like Sagres, or maybe, the ones that are placed on small islands like the ones in “Ria Formosa” between Faro and Cacela or even the ones with a big stretch of sand like Manta Rota. The quality of our sand and the high temperatures of the water have made the Algarve world renowned for its beaches. 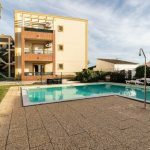 For those who are looking for an Algarve property for sale as a vacation house, second home or just as an investment all the above things are very important, but there’s more! Also the food is appreciated by a lot of tourists. 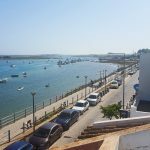 Our fish, sea food, meat, desserts and wines make the delights of those of choose Algarve as the destination for ther vacations. There are a lot of traditional restaurants you can choose from and enjoy the quality of our food. It is also very important when buying a property in Algarve to know how to get there. Algarve has an international airport, in Faro, with flights to destinations all around the world. So it’s very easy and secure to travel from your country and home to the Algarve. I hope I could explain in a few words why Algarve is the place for you to buy. In Algarve you can find the entire package for your holidays and investment: golf, beach, food, good weather and security. So you can start your search on Algarve properties for sale and if you have any questions or if you need more details, like taxes, mortgage, etc… on this process please contact me to my email or call me!